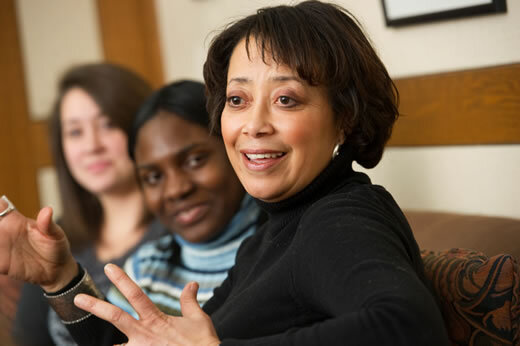 Emory University's Nell Hodgson Woodruff School of Nursing received a $970,000 Nursing Workforce Diversity grant from the Health Resources and Services Administration (HRSA). The grant is designed to help increase nursing education opportunities for individuals from disadvantaged backgrounds by providing student stipends, scholarships and mentorship opportunities. The HRSA funding will support the school’s “Building Nursing’s Diverse Leadership at Emory” (BUNDLE) program that focuses on racial and ethnic minorities who are underrepresented among registered nurses. Emory is one of 12 nursing schools in the country to receive this competitive nurse-training grant. BUNDLE will reduce social, economic and educational barriers to academic success in order to prepare nurses, from diverse backgrounds, to enter the public health nursing workforce. The aim is to build nursing leaders in underserved populations.